Thanks for your help during this project, I appreciate your assistance with my questions about cross overs, as this is not my area of expertise at all. 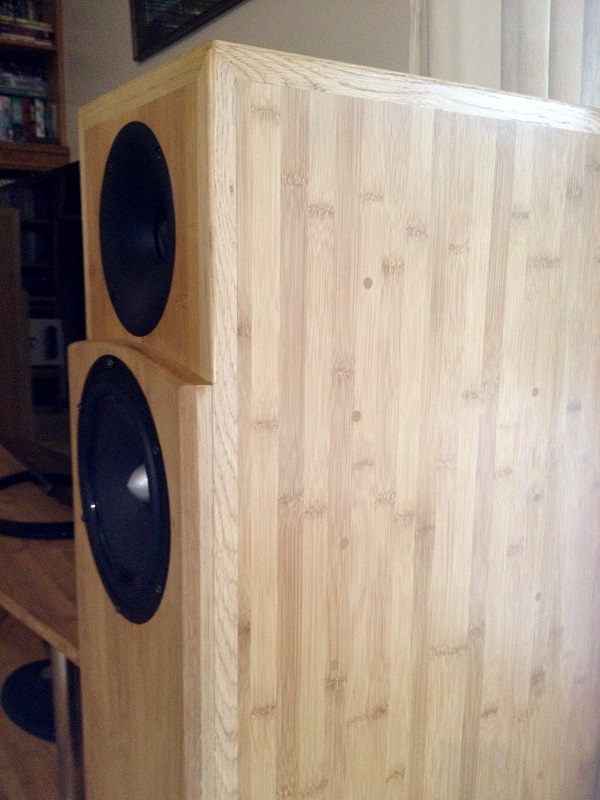 As you can see, I have used bamboo for the cabinets, with an oak front panel and oak beading to hide any screw holes; my construction methods only vary from yours as I don't have the same machinery as you, but everything else is the same size and very solid. 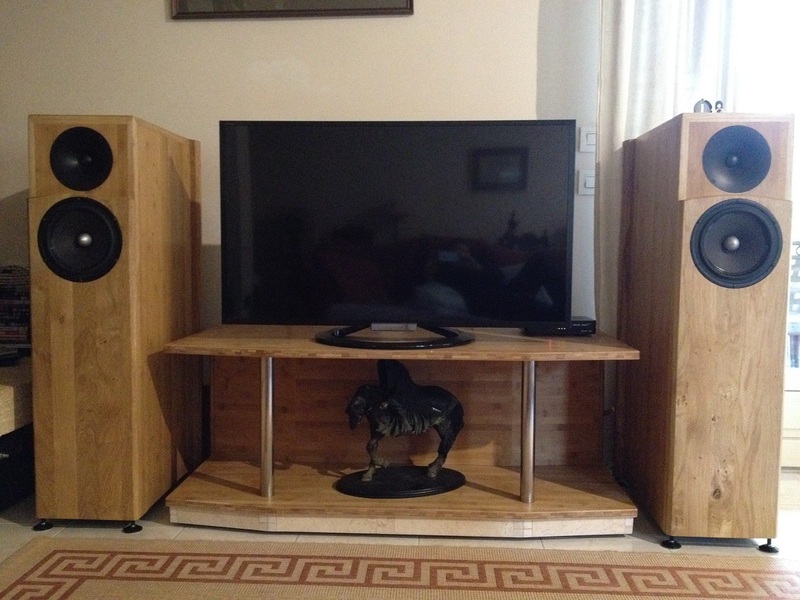 These are the most sensitive speakers I have ever experienced and I am delighted with the clarity of sound, especially at medium to low listening levels. My system comprises a Cyrus CD8se with external power supply, followed by an ARC Ref 3 pre amp, then Croft 7R mono blocks, and now a pair of DTQWT III speakers, all of which adds up to a fantastic level of insight into my collection of CDs. I do very much enjoy a project of this nature and am already re-reading your website for future projects.... Hmmm....Prelude or ATS4..... decisions.... decisions.